The Mountain Hiker apartment is a beautiful and spacious luxury apartment with a fantastic view. 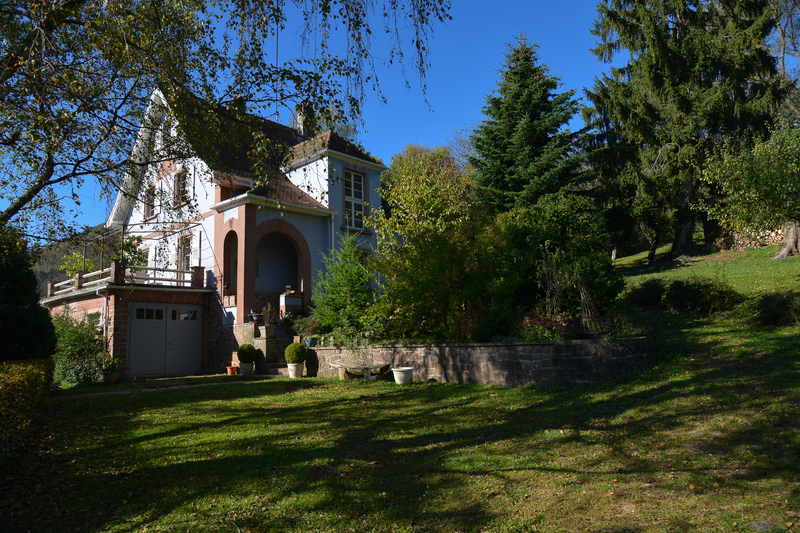 It is not in the village of Riquewihr but in La Vancelle, a pretty village we have chosen for our private home. The Mountain Hiker apartment is on the first floor of our private house. 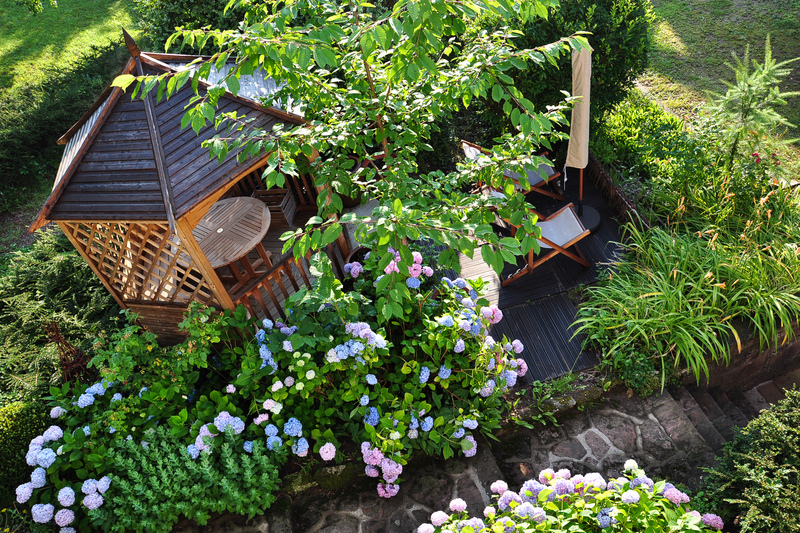 La Vancelle is a strategic place to visit all of Alsace. 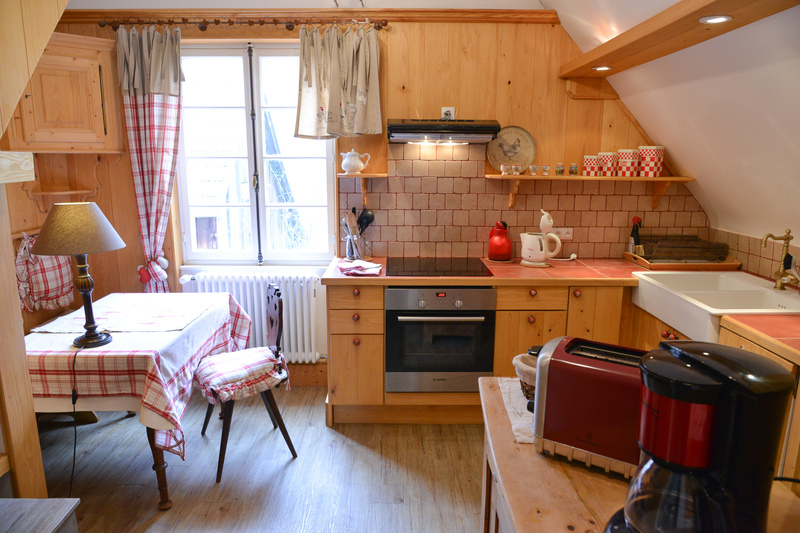 It is situated right in the middle between Strasbourg and Colmar, in a privileged environment, only minutes away from all major attractions. 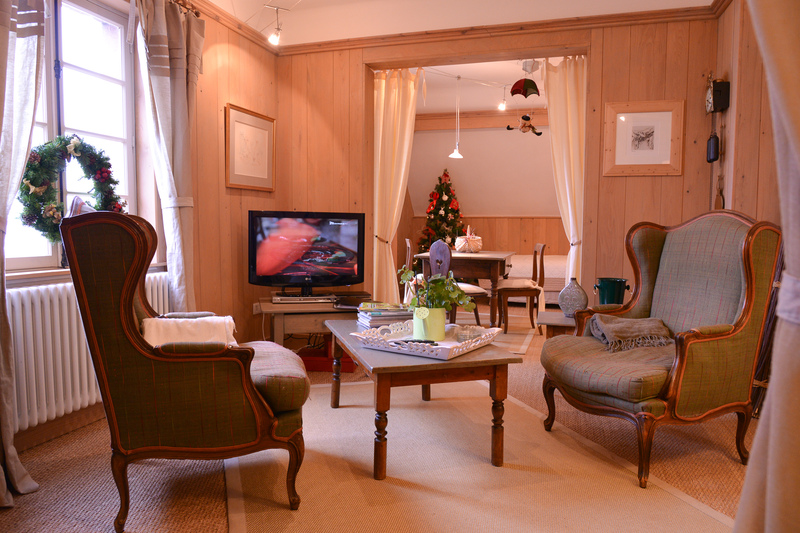 The Mountain Hiker is a beautiful and comfortable apartment for 2/3 people newly refurbished with organic materials. 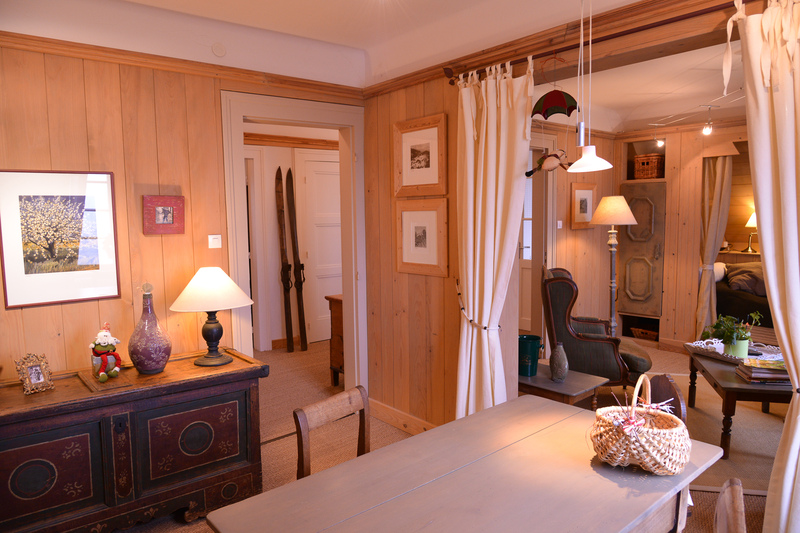 On the first floor, facing south with a stunning view of the mountains and the famous medieval castle of Haut Koenigsbourg. 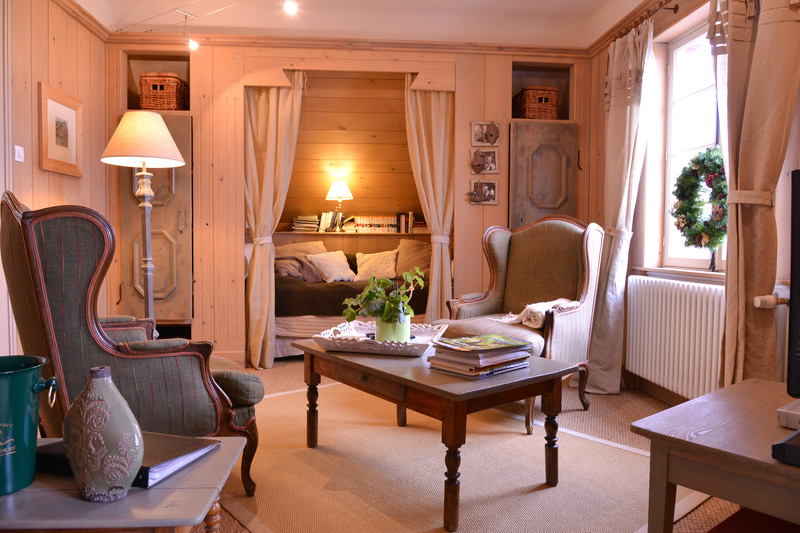 Charming and luxury accommodation in any season. 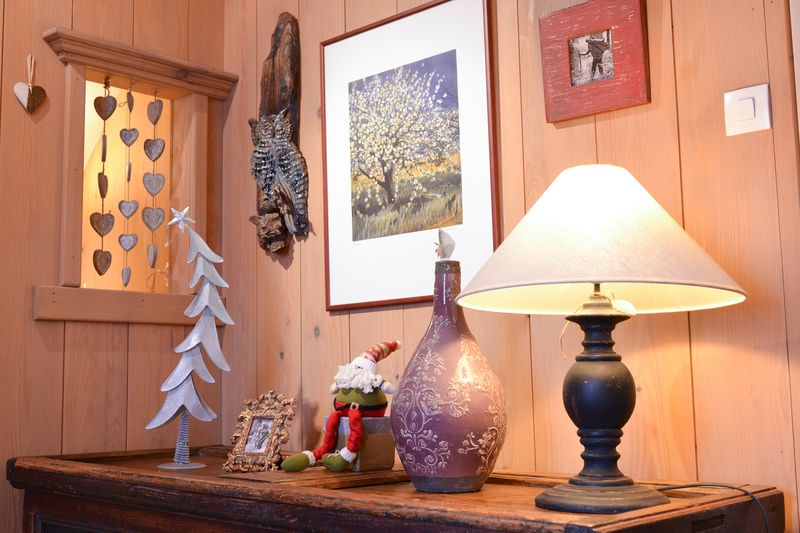 Decoration is about forests and mountains, in homage to the original owner and builder of the house who was, until the 1930s, the forester of the Forest of La Vancelle. Bedroom with king size double bed (180 x 200 cm). Also available with a twin bed layout upon prior request. The two living rooms (living room and dining room) are en suite and exposed south. A extra traditional Alsatian bed is providing sitting space but also a comfortable extra bed for 1 grown-up child or adult. Magnificent panoramic view over the forest, the mountains and the castle of Haut Koenigsbourg on the horizon. 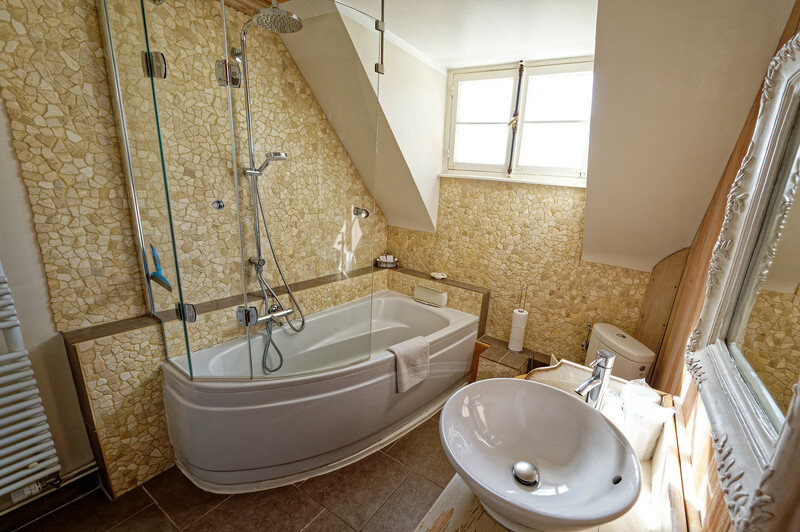 An independent bathroom and kitchen complete this cozy vacation rental apartment where you will relax after your hiking or your discoveries in the vineyard.